"Champagne Lady" is a very large volume, comfortable, cruising Motor Yacht. 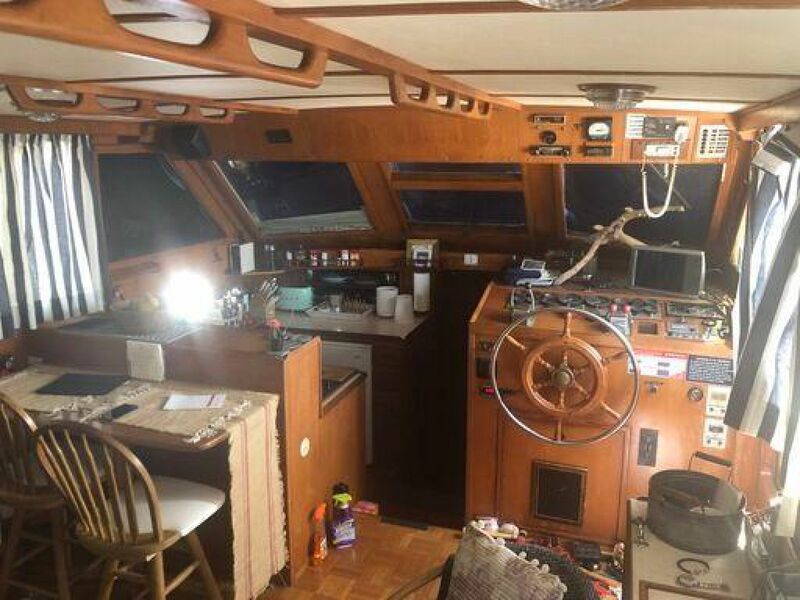 Ready to do the Great Loop or make a wonderful live aboard home. 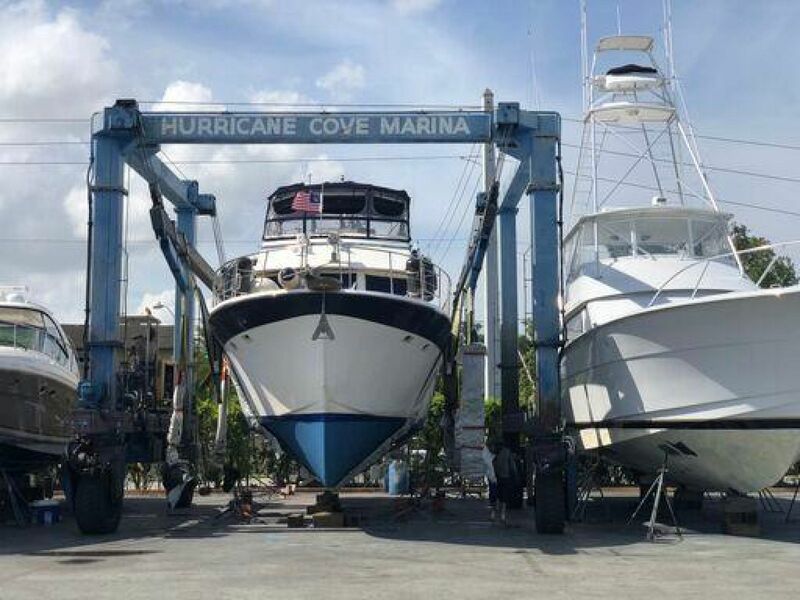 Current Owner has had her for many years and has constantly maintained and upgraded her equipment and systems. Her reliable Caterpillar Main Engines 325 HP @ make her efficient at economical cruise, but able to reach planing speed, if you desire. 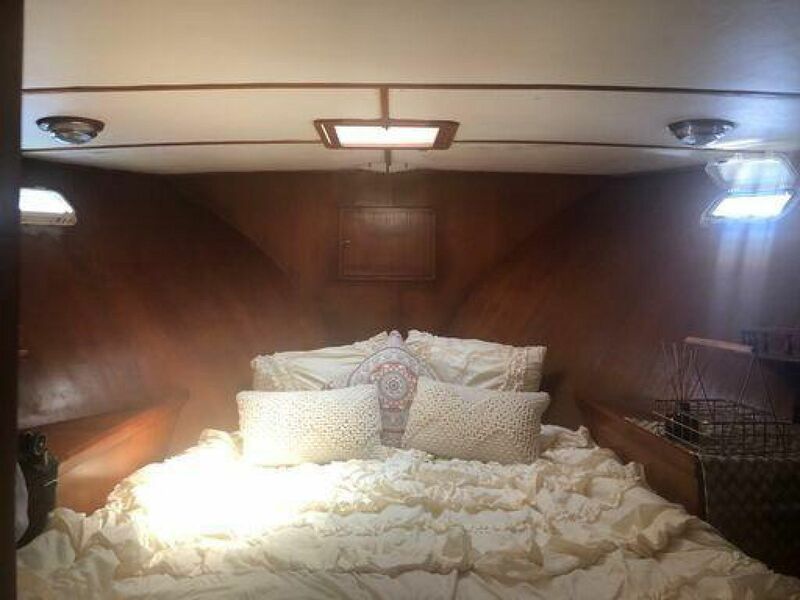 This Jefferson is 50 feet long and over 15 foot beam, that makes for a very large interior volume with many different deck levels for relaxation and cruising comfort. 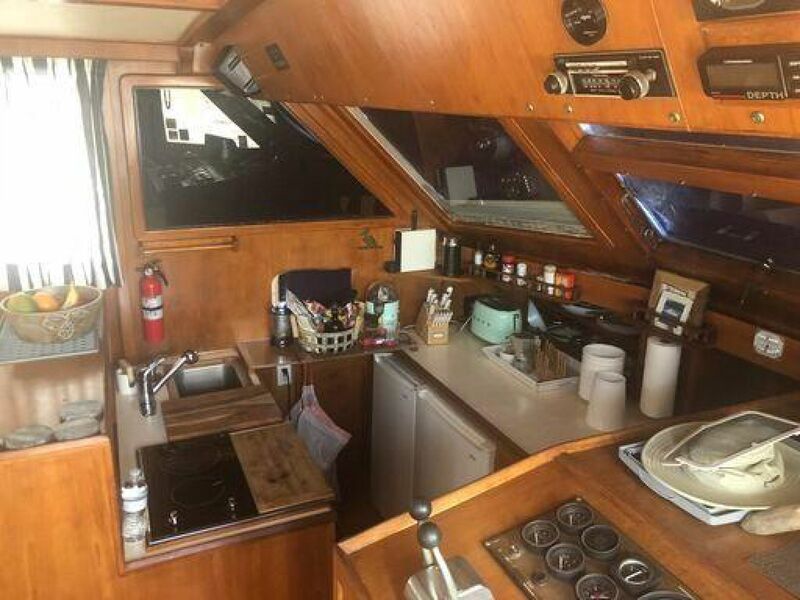 She has two complete Helm stations, in the Salon Starboard side, with wonderful access to the Galley and guests enjoying the view through large windows. The Fly Bridge Helm is also complete with comfortable seating, full enclosure and a spectacular view in all directions. This is a large area with the design of the flared hull. Twin anchor setup, with two Chain and Rode compartments and a twin caspian powerful windlass. 60 lb.plow with 250 ft. chain & 40 lb. Danforth with chain and rode. There is built in seating for sun bathing or a great conversation spot with a wonderful view. The upper Fly Bridge Helm is accessed from the Enclosed Aft Deck and is also completely Enclosed. There is a full Helm station here, with full controls and seating for all your guests. 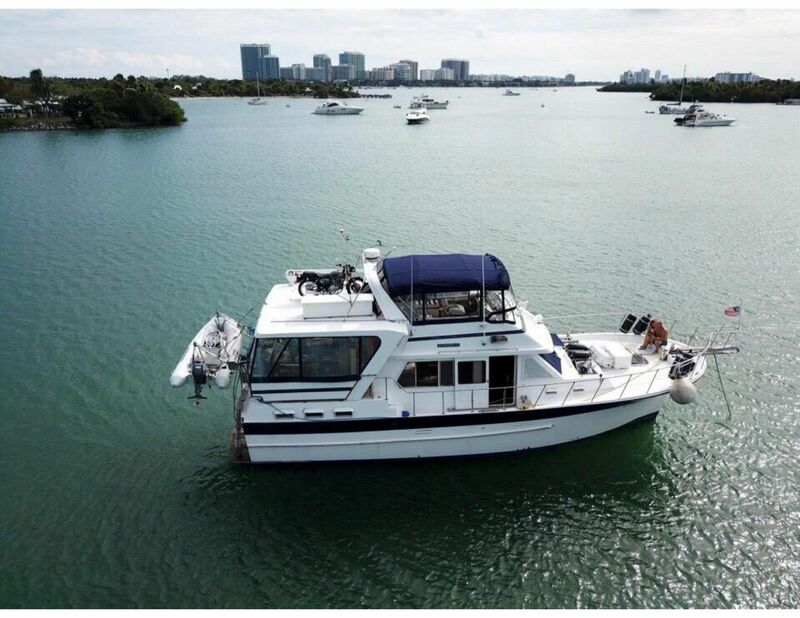 Running the Yacht from here is a pleasure with great visibility and complete Bimini including removable side and rear canvas isinglass windows. This is also access to the rear hardtop storage area for kayaks - surfboards - tender - including a full electric lift with 1500 lb. capacity (owner stores, and launches, his full size motorcycle here). This area is high off the water, over the Aft Cabin and is Completely Enclosed with removable isinglass and or screens. 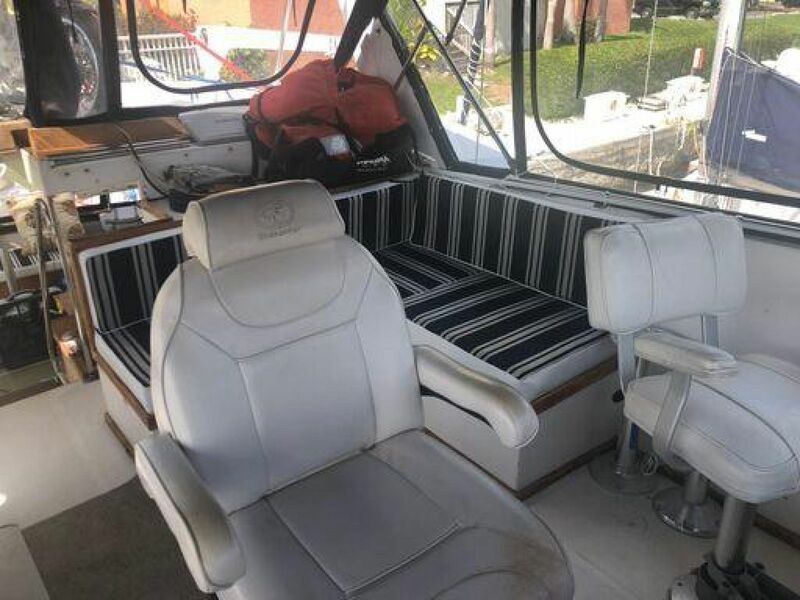 This is your protected patio - comfortable seating - a sink and refrigerator - BBQ - and access to the swim platform and Custom Stainless Eclictric Davits. Forward on both sides, are the wingdeck doors opening to the side decks, leading to the bow. This is where you will spent a great deal of time relaxing ... anytime. The Salon can be entered from the Aft Deck as well as large sliding doors on both sides of the Salon to the side decks. 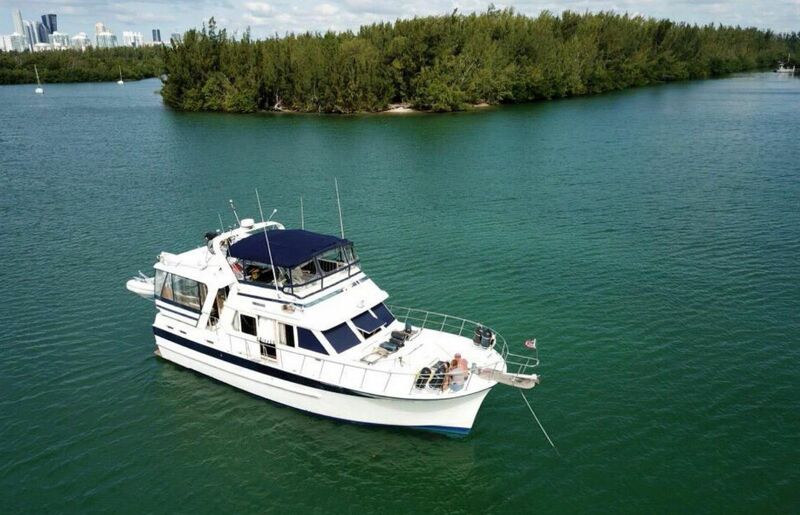 It is open and has easy movement to the forward Galley and Guest Cabin, as well as entry to the Master Cabin aft. The windows are large and it is a very comfortable and cozy space. 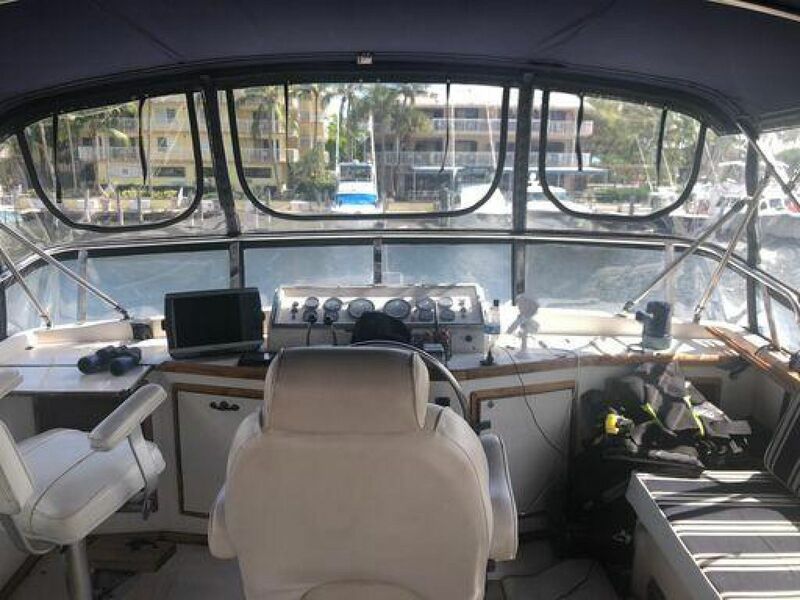 The Helm position is optimal for driving the Yacht, while being right there with all your Guests. 2 steps down on the Port side of the Salon is the full Galley. This is a compact, but well thought out space, with all the equipment needed. 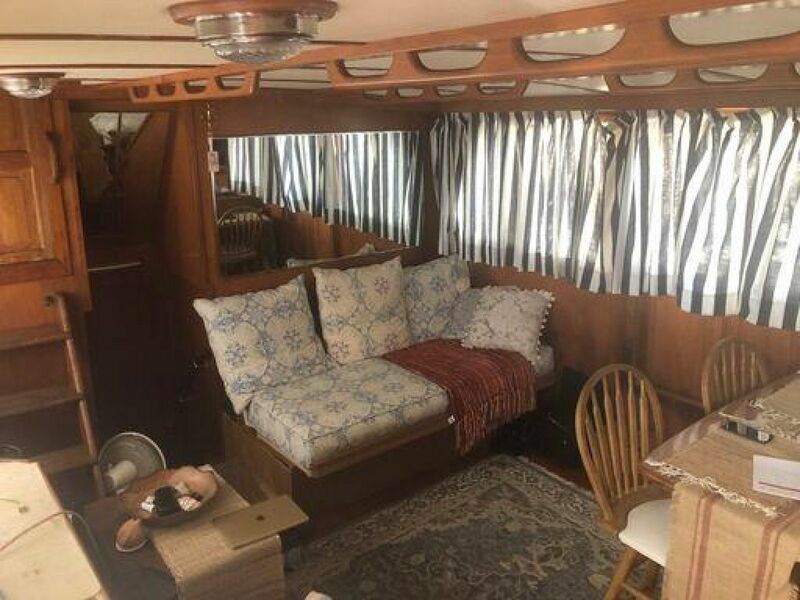 The Guest cabin area is well designed with a large Berth and plenty Hanging locker space, with many drawers and cabinets. The forward Guest Cabin head is good size with a separate stall shower and easy access from the Cabin, as well as the Galley. The Master Suite is aft from the Salon area, and is truly a great bedroom. Centerline Berth with many storage and hanging lockers on both sides. There is a nice vanity - desk, and private access to the Master Bath having a separate full stand-up Shower. There are many opening Ports on all sides for natural light and ventilation.